Morocco will debut its first high-speed train by the end of this year. Testing has started on the French-made double-decker train cars that will reach speeds of 320km/h. The trains will carry passengers from the northern city of Tangier to Casablanca and cut travel time by half. Funded by governments in Morocco, France, Saudi Arabia, Kuwait, and the United Arab Emirates, the project costs $2 billion. According to ONCF, tests occurred on several kilometers of the new line with gradual increases in speed, and it was determined that the line is suitable for traffic at 320 kilometers per hour. In May, the test train reached a speed of 357 km/h linking the cities of Tangier and Kenitra, so it is expected to connect the two cities in only 90 minutes. The Morocco project is 220 miles, similar distance as an initial operating segment in California. Morocco is also upgrading a conventional line to 140 mph. 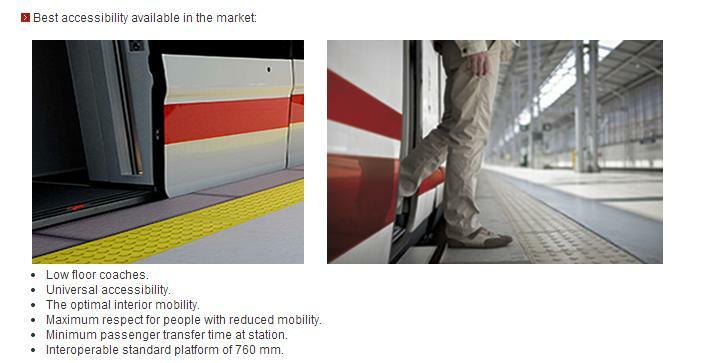 In an action that went largely unnoticed last month, the CHSRA has changed the specifications for platform lengths. Whereas they were originally to be 430 meters (long enough for double trainset), they will now be just 800 feet (243 meters). This will effectively cut the capacity of the system in half. The memo does allow for longer platforms at shared stations — if other operators are running longer trains. Its effect on the cramped Transbay Terminal is unclear, as Caltrain is only planning for 8-car EMUs. The decision also affects placement of turnouts and crossovers. So once the track and platforms are locked in concrete, it would be extremely difficult and costly to change later on. Reducing costs of the project is one thing — but this is an example of being penny-wise and pound-foolish. There is no rationale for these aerial structures. Note that the original plan (in 2005) was to put the station on the periphery and keep tracks more at ground-level. That would have greatly reduced costs and neighborhood impacts. Since everyone will be be driving to the station anyway — as evidenced by the huge parking — a peripheral station location would not impact ridership. Locating suburban HSR stations on the periphery is also typical European practice. Sadly, some so-called experts are too clueless to figure that out. It became clear in meetings with manufacturers during the last few weeks that the requirements were too different to incorporate into one set of trains, said Lisa-Marie Alley, a spokeswoman for high-speed rail. The agencies concluded that too many compromises would need to be made to meet both their needs, which would “move us away from a service-proven design and create significant risks as to schedule and costs,” Amtrak spokesman Craig Schulz said in an email. One of the puzzling things about the CHSRA has been its inability to work with its California partners (Caltrain, Metrolink) on really basic things, like compatible platform heights and signal systems — while at the same time design its high-speed trains to be compatible with a rail line 3000 miles away. The NEC requires high-platform trains, which precludes Caltrain and CHSRA from sharing platforms. 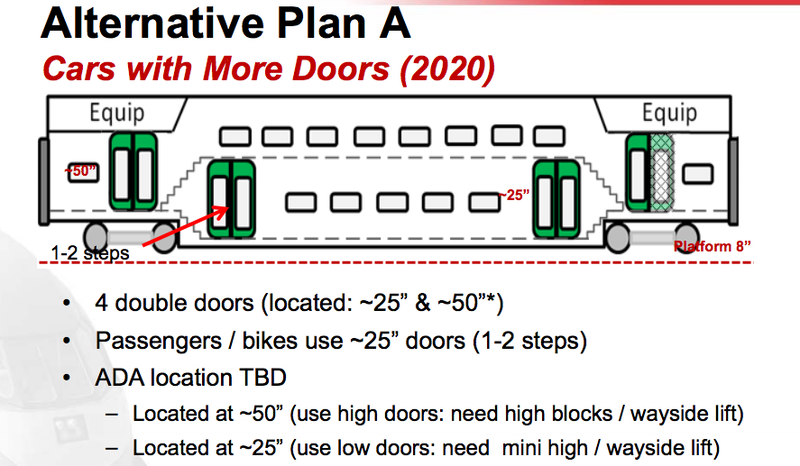 Hopefully, with this decision, Caltrain and CHSRA can at least use trains with the same platform height.